Eric Garner, no indictment: Grand jury declines to charge Daniel Pantaleo. 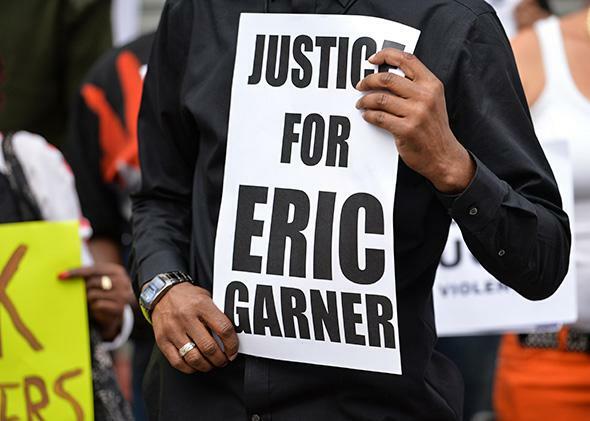 Demonstrators rally against police brutality in memory of Eric Garner on August 23, 2014 in Staten Island, New York. The city’s medical examiner ruled in August that Garner’s death was a homicide caused by the chokehold. Pantaleo could still be punished by the NYPD; New York television station Pix11 has asserted that Pantaleo did not mention using the banned maneuver in an official police report on the incident.